When I talk to other Christian moms raising kids in this generation, especially daughters, we all seem to have that same look in our eyes. It’s the one that begs the unanswered question, how do we do it? 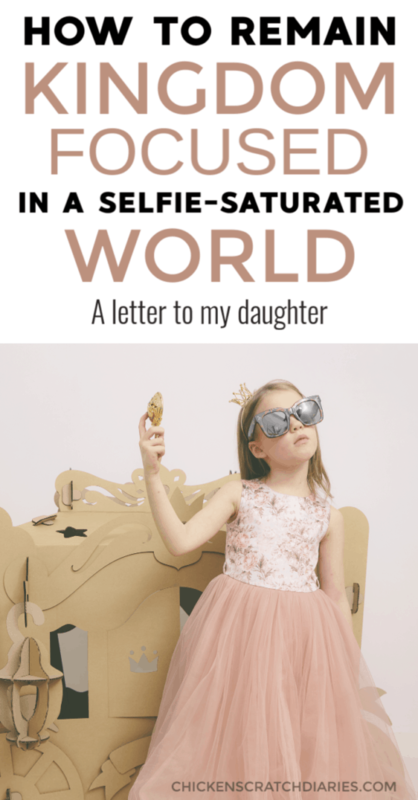 How do we combat the pull and tug of the culture on the heart strings of our girls? How do we encourage Godly character and ensure that the guidance of the Holy Spirit will be the voice that she will hear and heed – first and foremost in her life? 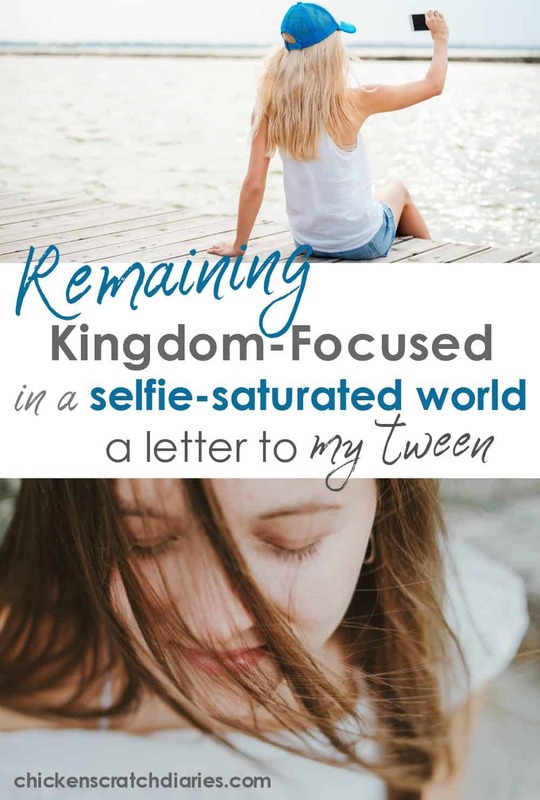 In a me-first generation, how do we get our daughters to think beyond themselves, their wants and desires – to their role in building the Kingdom of God? I don’t have all the answers. But I do have three daughters, and with my oldest just on the brink of the teenage years, these are the things on my mind these days. 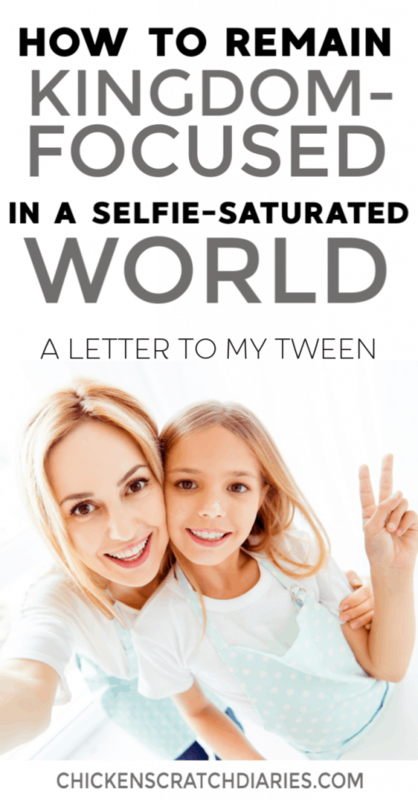 This is an open letter to my twelve year-old daughter. I know you see me running around like a frenzied rooster, assigning tasks and keeping everyone in line. Getting stuff done is part of my job, but it’s not my only job, and it’s not my most important job. I hope you know that. I really hope I haven’t been so caught up in this busyness that I’ve forgotten to communicate to you the things that are most important during your growing-up years – which, by the way, are going by way faster than I ever could’ve understood before now. I see you soaking up knowledge and pondering in your heart the things of God. I know you pray and you listen for answers. I know you feel God’s presence. You’ve told me how He’s helped you on your tests at school. I can see that your kindness and concern for others comes from a desire He’s placed within you. But I know also know that you’ve got both feet in two worlds, as all believers do. Loving God and longing for heaven; but still living in this world that mostly does not. It’s a tough place to be and especially tough at your age where the world is vying for the #1 spot in your already-redeemed soul. I get that heaven can be an abstract concept at times. God can seem so big that it’s kind of like staring at a huge mosaic with your nose pressed too close to it. You know the individual pieces are beautiful and that they’re part of a much bigger picture, but being able to step back and see how it all fits together – well, that can be daunting at times. And, you’re a girl, and a girl needs friends. You want to be accepted and loved. 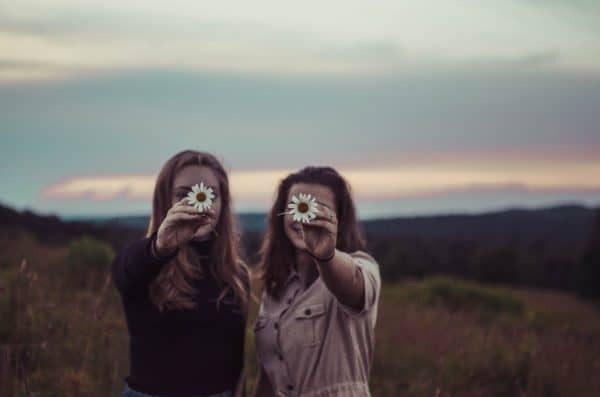 You want to feel like you’re connected to others who you can share your heart with – those that really “get” you. You have a tendency to hold back until you’re really confident in your abilities – but once you do make those heart connections, you want your talents and gifts to be known. I want you to know there’s nothing wrong with that! When you recognize that those things which make you unique come from your Creator, it’s such a GOOD thing to want to celebrate you. Your perspectives, your abilities, your gifts: all of those things are meant to be shared and appreciated. But here’s what I want you to remember, if I fail at teaching you anything else. More than you need recognition, more than you need appreciation and more than you even need friends — you need the steady reassurance of Jesus. You need His ever-present reminder that you first belong to Him and that your gifts from Him are meant to be used for Him. The best part of all this? When you live with a desire to know and trust Him more, God will show you how to naturally attract the right kind of friends. He’ll show you how to impact everyone around you for their good (and yours) and most importantly, for His glory. As I send you out into the world, little by little, I realize that I can’t always be with you to remind you of these things. That’s a terrifying thought sometimes! But I’m learning to trust Him more, too. So here’s my prayer for you as you grow: that you’ll be able to hear the voice of God deep within, the same one that called you to receive Him. I pray that you’ll know this voice so well it will drown out all the other noise that competes for your attention. I pray most of all that my example to you lives up to the words I’ve just written, and that as a family we’ll encourage each other in building God’s kingdom in heaven – and not our own. I’ve been praying different prayers for all my kids since they were born. Prayers that I hope will speak to the very different kind of person each of the three are becoming. I love this letter to your daughter. I love that it speaks of her foundation in Christ more than her accomplishments. Thank you for sharing with me! I think I find it easier to write letters to my kids than remembering to tell them these things sometimes. I need to to do both! 🙂 Thanks for posting about the link-up, I’ll have to do that more often! Thanks for stopping by.